A week ago, a circle that I belong to had an informal meet-up and dinner planned for the ladies and believe it or not, Yours Truly along with a friend (read her blog here MySoyBean. She loves makeup as much or maybe even more than I do!) were asked to talk and demonstrate our favourite makeup and skincare products. It turned out to be a really fun night where we spoke passionately about each product we slap on our faces on a daily basis. 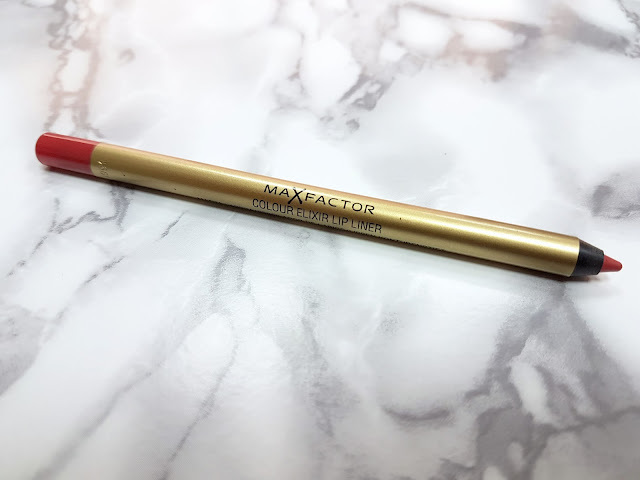 During the talk, a question about lip liners came up and while discussing the ones I loved, I realized that the liner I reach for the most was by Max Factor in No. 10 Red Rush from the Colour Elixir range. Well, when you've purchased a backup for your backup, it has got to be a favourite! I love wearing red and this gives me that quintessential classic red lip. Actually, scratch Red Lip from the title, because all 6 (or is it 8?) shades in this series are amazing! There have been times when I've tried a real winner from a collection and then gone on to discover that the other items in the collection just don't cut the mustard. But not this! The other Max Factor liners I own have however been sharpened down to an almost unusable length, hence them being MIA from the above photo. But hey, that's proof enough about just how much I love these liners! Red Rush is a gorgeous red with blue undertones, hello whiter teeth! I find it works well with all my red and brown toned lipsticks. These lip liners are matte, but they have a beautiful butter like creamy consistency and so won't tug on your lips during application. Despite being creamy, these won't budge all day and will definitely boost the staying power of your lipstick. In fact, long after my lipstick has rubbed off (3-4 hours tops as I eat lipstick for breakfast, lunch and dinner), this liner still prevails and gives me fabulous colour that doesn't bleed. What more could I ask for? The only thing I don't like is the plastic like outer casing. The lip liner will sharpen like you would any other pencil, however it can be a bit of a challenge and the smooth plastic slips in your hands. 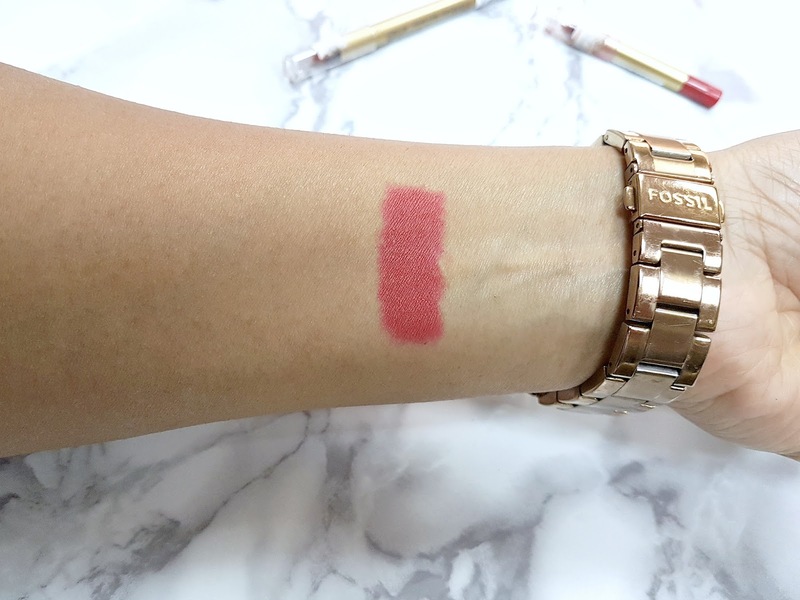 Though, for just 2.75 KD a pop, these Max Factor lip liners are a steal and have proven to be head and shoulders above the competition!